A reader writes: Wow, where do I start. In a nutshell: My son-in-law was killed in a vehicular accident two years ago. He was an amazing father and husband to my daughter, who at the time was pregnant with their fifth child. My daughter was never as happy as she was when she found the man of her dreams. My husband and I moved last year to be closer to my daughter and our grandchildren. I had been a hairdresser at the same salon for 30 years, but I gave it up because my husband could work from home anywhere. Meanwhile last October our 28 year-old son moved in with our daughter to help take care of the kids. He was diagnosed with Hodgkin’s lymphoma last December. He had two surgeries: ribs cracked open to remove a mass from his chest, then a large mass in his neck, followed by 10 chemos and 14 radiations. I have been married to the same man for 33 years. I feel like I have given up my life, my friends and job but don't think I/we had a choice. Our daughter needed help with our five grandkids ages 10, 9, 5, 2 and 11 months. How do I move on and be happy with the life I have now??? I was referred to you by a friend and realize you can't fix this in an e-mail. How do I find help? I am (or used to be) a fairly positive, happy person, but I find myself longing for my old life. My son and daughter are very religious but are both having a hard time. We all (nine) of us have dinner together and I cook, do laundry and babysit almost every day. We are functioning as best we can. My husband and I do have our own home but it is a country block away from our daughter and the kids. Any help you can recommend would be appreciated. Thanks for your time. My response: First, please accept my deepest sympathy for the tragic, accidental death of your dear son-in-law. I'm sorry, too, to learn of your own son's serious illness and all the secondary losses you've endured in the ensuing months. I cannot imagine how overwhelmed and isolated you must feel, especially since you're uprooted from your past life and so far removed from your former sources of support. It's no wonder to me that you are longing for and mourning the loss of your "old life." Life is not turning out the way you planned, is it? And it's certainly not what you'd hoped and dreamed and expected it to be, especially at this point in your life. Your situation reminds me of another grandmother's story. After her elder daughter and former son-in-law were killed in separate car crashes, Harriet Hodgson became a "GRG" ~ a grandparent raising grandchildren ~ and like you, her entire world suddenly was turned upside down. Never did she dream that in their "golden years," she and her husband would be thrust back into the parenting role, with 24/7 responsibilities for child care. 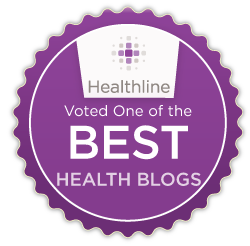 A freelance writer and author of 35 books, Harriet is a contributing writer for Open to Hope, and much of her written work appears online on various websites. Her book Help! 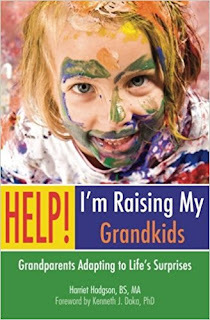 I’m Raising My Grandkids is a wonderful resource that you may find quite helpful. 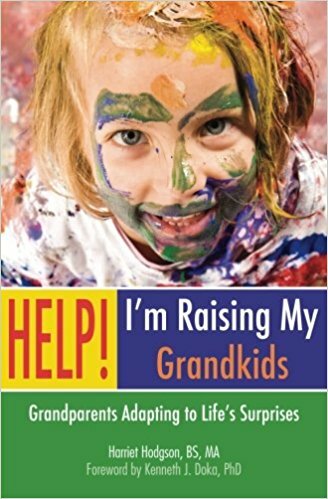 (A revised edition entitled So You’re Raising Your Grandkids is in press and due to be published in May, 2018.) I've also read her book, Writing to Recover: The Journey from Loss and Grief to a New Life, which is packed with useful, easy-to-digest information and practical suggestions, some having to do with reconciling her grief and some with meeting the challenges of raising children in this day and age. You ask how you can move on and be happy with the life you have now, and of course I don't have the answer to that question, except to encourage you to live the life you have as it unfolds, just one day at a time, taking each day as it comes without projecting too far into the future. As you say, my dear, the problems you're facing can't be fixed in an e-mail, and I do think you would profit from some face-to-face support. 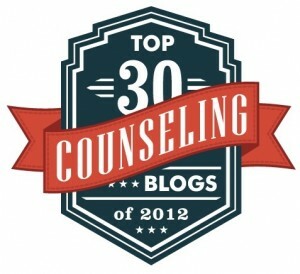 In addition, you're also most welcome to join our online Grief Healing Discussion Groups. This service is completely anonymous, free, and available 24 hours a day, seven days a week. There you will find yourself among some very caring, compassionate individuals who'll help you feel less isolated and alone. I hope this information proves helpful to you, and please know that you and your family are in my thoughts and prayers.